John H. Seinfeld is Louis E. Nohl Professor at the California Institute of Technology. He is a member of the U.S. National Academy of Engineering, the U.S. National Academy of Sciences, and a Fellow of the American Academy of Arts and Sciences. He is the recipient of numerous honors and awards, including the American Chemical Society Award for Creative Advances in Environmental Science and Technology, the NASA Public Service Award, the Nevada Medal, the Fuchs Award, and the 2012 Tyler Prize. 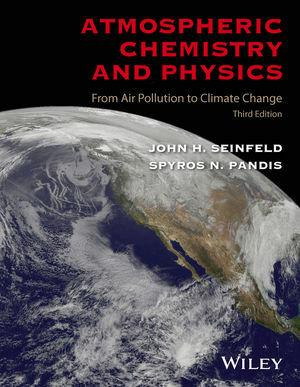 Spyros N. Pandis is Professor of Chemical Engineering at the University of Patras, Greece, and Research Professor of Chemical Engineering and Engineering and Public Policy at Carnegie Mellon University. He is the recipient of the Whitby Award by the American Association for Aerosol Research and the European Research Council Advanced Investigator IDEAS award. He is a Fellow of the American Association for Aerosol Research.